Long ago, in a fabled land far, far away called New York, players came together—no, they gathered—for the first-ever Pro Tour. 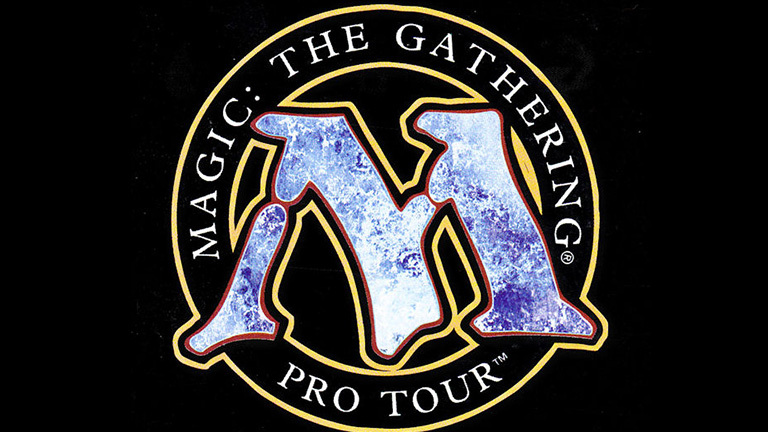 At that first Pro Tour came many firsts: the first Pro Tour champion, the first time we'd meet a slew of future Hall of Famers, and the first of many Top 8s to come. Given that this is Top 8 Week, I thought we'd take a look at the first eight intrepid players to march to the top of the Pro Tour stage. Canadian National Champion and eventual Worlds Top 8 competitor Eric Tam was one of the early Pro Tour stalwarts. Tam competed in every Pro Tour from 1996 through 1998, and twice represented Canada at Worlds. He also was invited to the 1997 Duelist Invitational. One of the "bad boys" of the early Pro Tour (you could tell because he often eschewed sleeves...on his arms, that is), Shawn "Hammer" Regnier would go on to win the next Pro Tour in Los Angeles, becoming one of the first players to Top 8 back-to-back Pro Tours. Mark Justice was once considered the best player in the world, thanks in large part to his four Top 8s early in the Pro Tour's history. He was part of a winning Worlds team in 1995 and finished 3rd individually in Worlds that same year. Justice also finished 2nd at the 1996 World Championships and 2nd at Pro Tour Paris in 1997. Many older players (like myself) remember George Baxter from his strategy books (Pro Magic and Baxter on Magic, among others), but he also had multiple Top 8s and was a national team competitor. Preston Poulter may not be a name you recognize—I certainly didn't while researching this article—but he has a pretty important place in Pro Tour history. Alongside Regnier, Poulter was tied for the first to Top 8 back-to-back Pro Tours. He spent much of that season near the top of the leaderboard for Player of the Year, but only earned a single pro point the rest of the year. He was part of the Pacific Coast League crew alongside Regnier and Scott Johns. This was Leon Lindback's first and only real performance on the Pro Tour, but as one of the few Europeans to do well on the first Pro Tour he parlayed that performance into an invitation to the first Invitational. He was also the only player in this Top 8 to get there with a Necropotence deck—a card that would come to be recognized as one of the most broken cards ever to see print. Always a bridesmaid, never a bride, Lestree also finished 2nd at the first World Championship. His two 2nd-place finishes, coupled with other French 2nd-place finishes, led to an early joke about the French finishing 2nd. Suffice to say, that curse was later broken. Michael "Loco" Loconto will forever be remembered as the first Pro Tour winner—and not much else besides an awesome nickname. He only ended up accruing a few more pro points that season, but from now until the end of time, Loconto will always be the first Pro Tour winner.